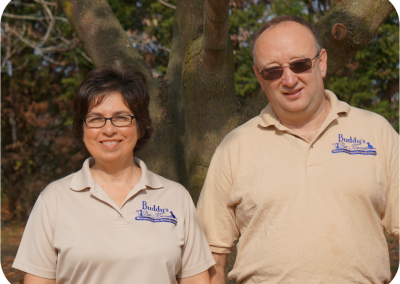 Barbara Smith and Kevin Gibson, co-owners of Buddy’s Pet Resort, established Buddy’s Pet Resort with the mission to provide the highest quality care and attention for pets, and convenience and reassurance to clients that their pets are happy and safe during their stay with us! 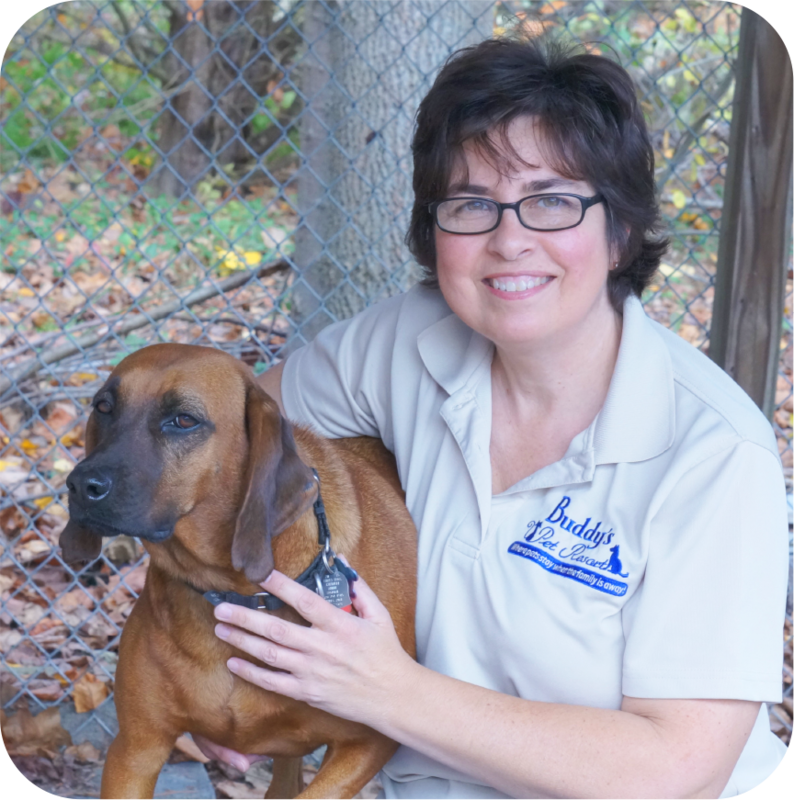 Our groomer, Nikki Taylor, joins our team with many years of grooming experience at premier grooming salons located on the Main Line outside of Philadelphia and gives our clients’ dogs that special touch! 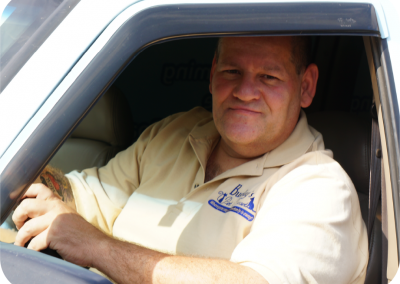 And Nikki brings the grooming salon to your home, in our new Waggin’ Tails Elite mobile grooming van! 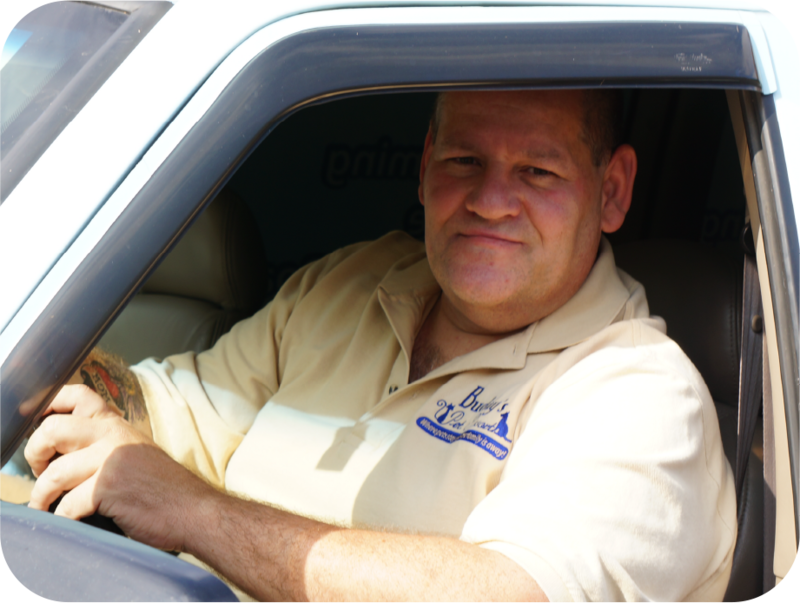 Jim Huber transports our clients’ pets, bringing them to Buddy’s Pet Resort for their stay and returning them home happy and safe! 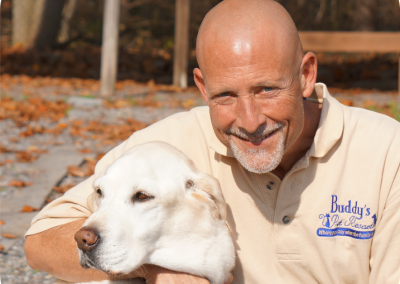 Kevin Gibson, co-owner of Buddy’s Pet Resort, brings years of experience in operations management and as a director of Buddy Rescue Foundation, a non-profit special needs animal rescue organization. 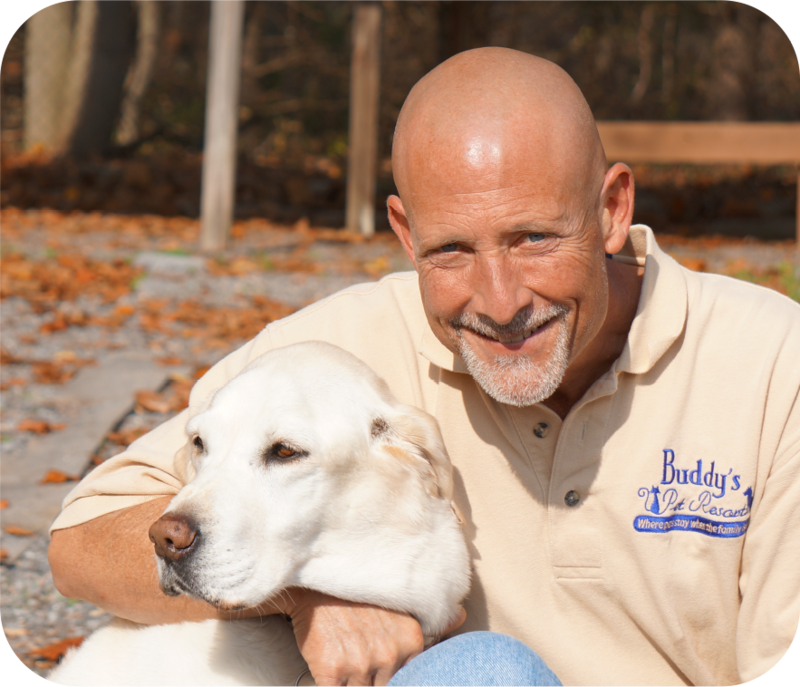 Kevin is considered the “dog whisperer” on our team, calming even the most timid pets to interact with us to enjoy their stay at Buddy’s Pet Resort! 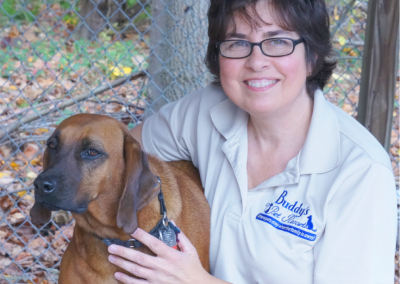 Barbara Smith, co-owner of Buddy’s Pet Resort, has a background in financial executive management and animal rescue operations as founder and President of Buddy Rescue Foundation, a non-profit special needs animal rescue organization. 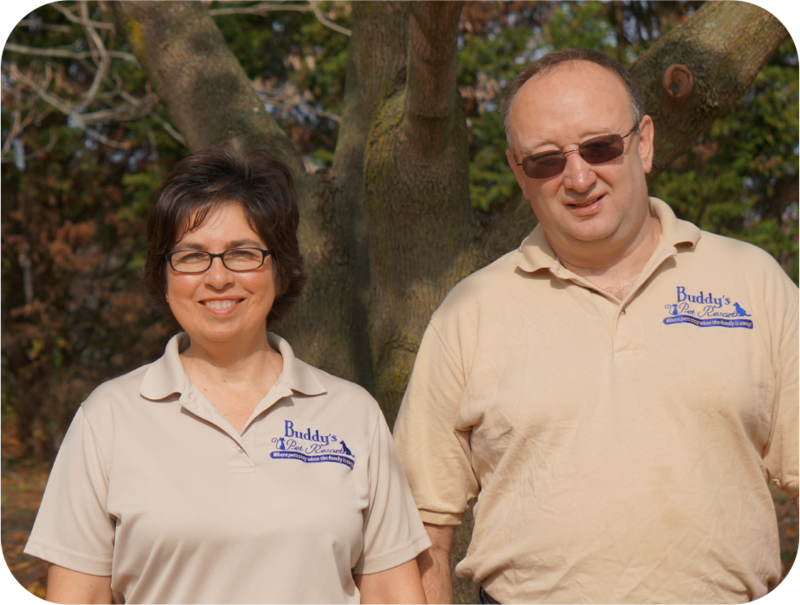 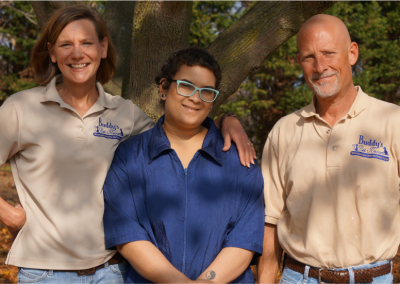 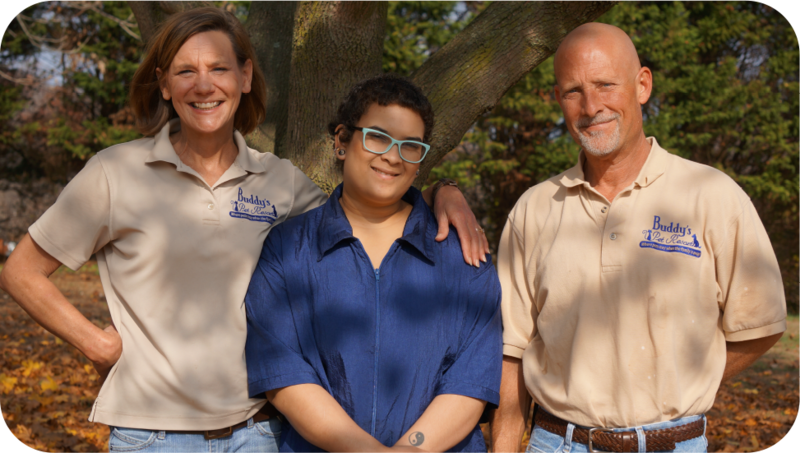 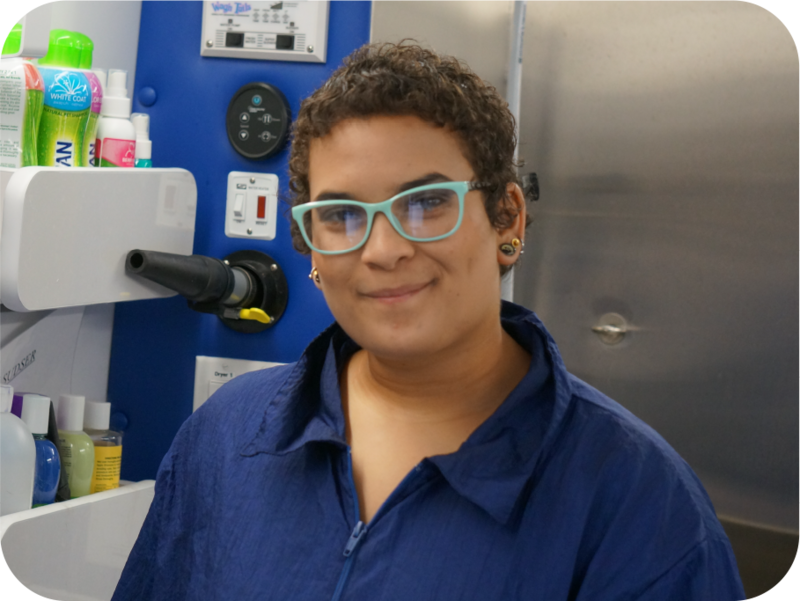 Barbara’s passion in caring for rescue animals comes through in our relentless attention and focus on the care and well-being of animals that stay with us at Buddy’s Pet Resort! 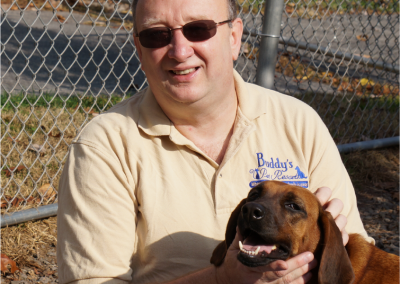 Doug Walker, co-facility manager at Buddy’s Pet Resort, has experience in retail and a passion for transporting rescue dogs safely to their new homes! 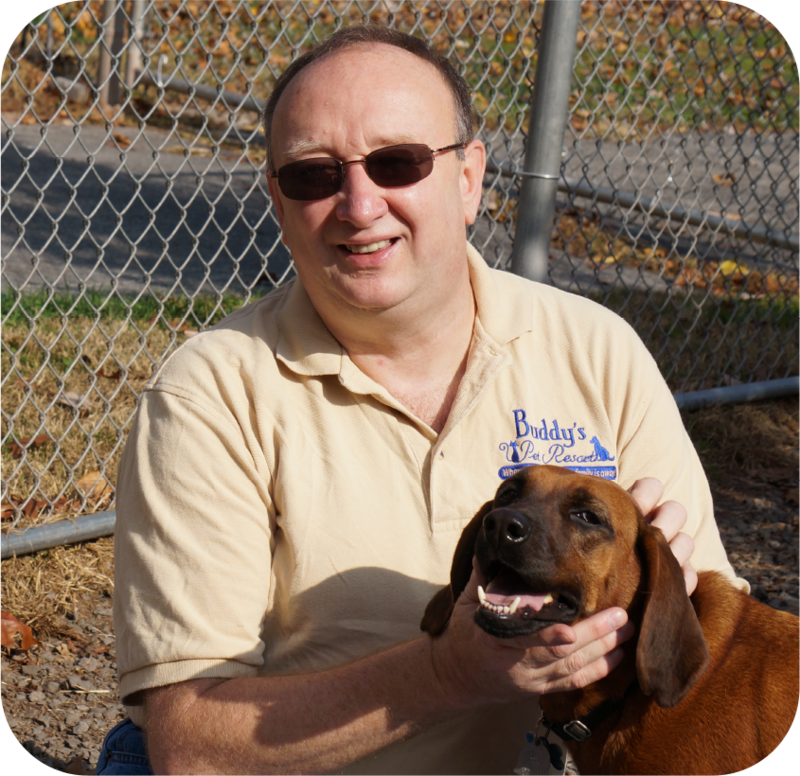 Doug also manages our Dog Day Care business and ensures that your dogs and cats are happy and content during their stay at Buddy’s Pet Resort! 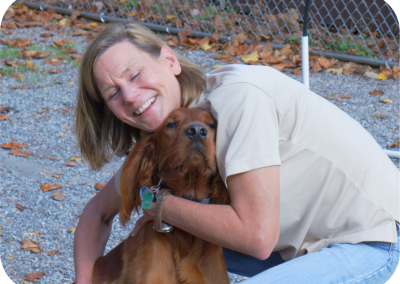 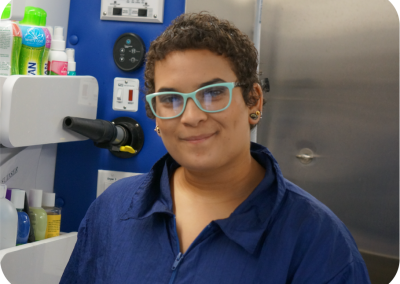 Jean Walker, co-facility manager at Buddy’s Pet Resort, brings retail experience and her love for animals to care for and interact with our clients’ pets. 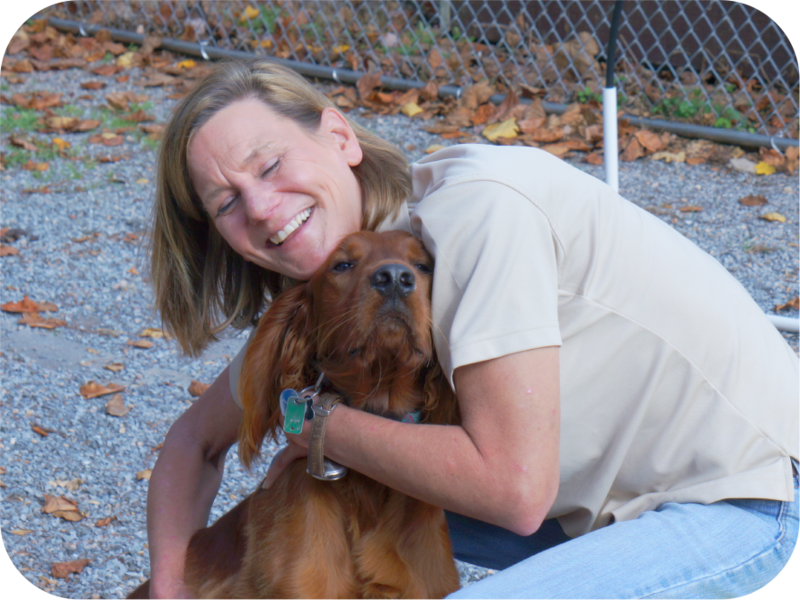 Jean also manages our Pet Sitting and Walking business and is seen here during one of the many play times dogs enjoy every day during their stay with us!